♥ Inspired by Japanese calligraphy & ink painting (sumi-e) technique. 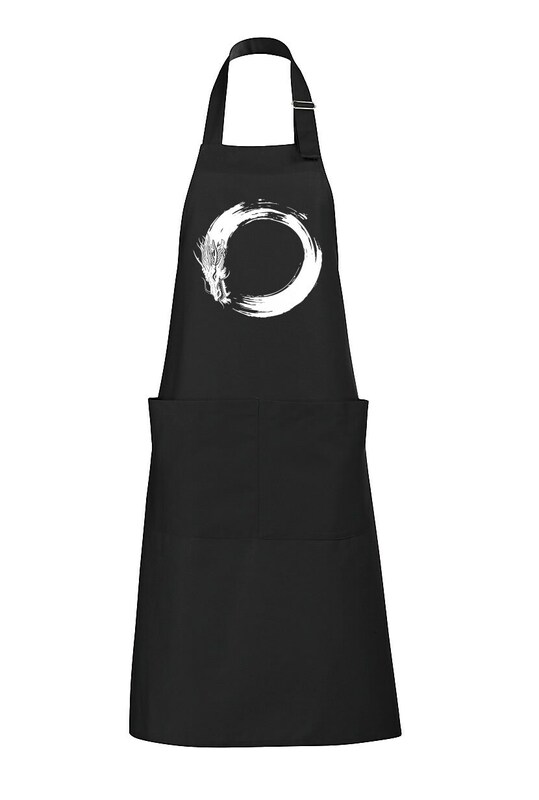 In Zen, Ensō is a circle that is hand-drawn in one strong brushstroke. Drawing ensō is a spiritual practice. Adding a dragon on one side, it is a metaphor of Yin and Yang. 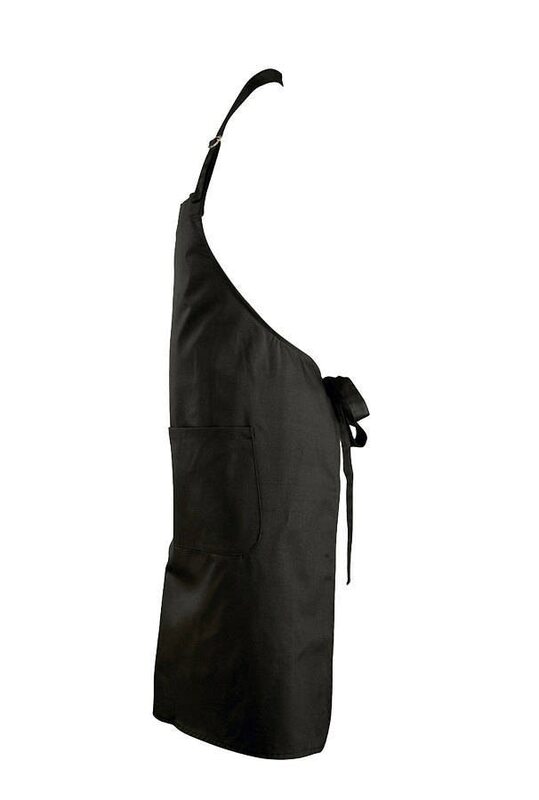 - Apron with Pockets. Large front pocket with 2 compartments. Adjustable neckline with metal buckle. 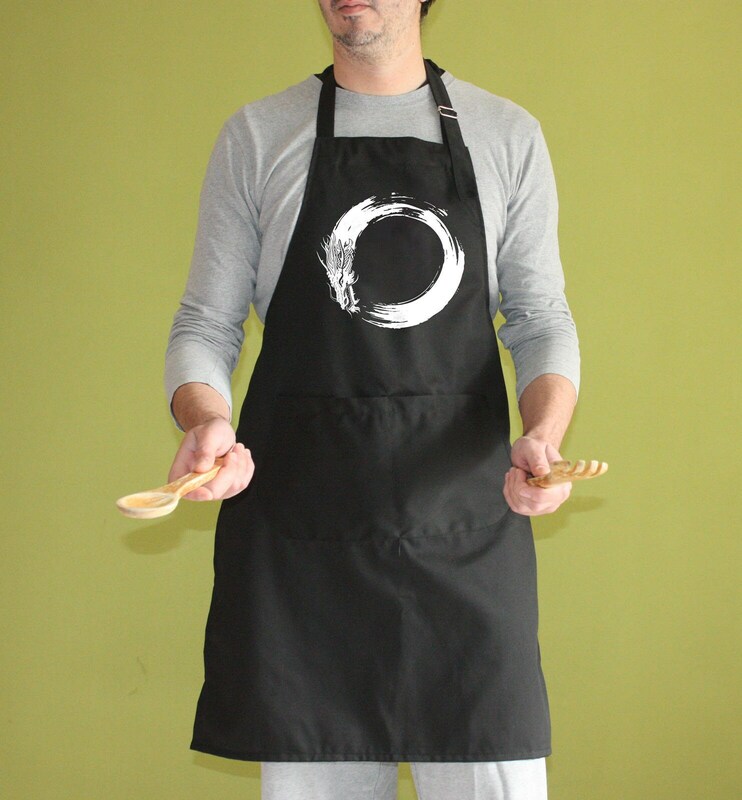 - Silkscreen, hand pressed on polycotton with eco-friendly, water based inks.